At a glimpse, the soccer team at PHS is like any other. The minute the dismissal bell rings, players gather at the soccer field to practice assists, kicks, blocks and headers. But the diversity of players is what makes them unique, incorporating students from different genders, ethnicities, schools and citizenships. Ultimately, the players overcome these differences to play as a team: united. On Sept. 5, senior Alex Arriola was lacing his cleats, mentally preparing for game day on the soccer field. But there was something in the back of his mind. Earlier in the day, President Trump ordered to end Deferred Action for Childhood Arrivals (DACA), the Obama-era program allowing undocumented immigrants who came to the U.S. as children to remain in the country. Once he got word, Arriola, a Dreamer, considered what was at stake. When Arriola’s family traveled to America as tourists on a visa years ago, they then decided to make their visit permanent. Arriola supported their decision, saying his status has garnered him countless opportunities. 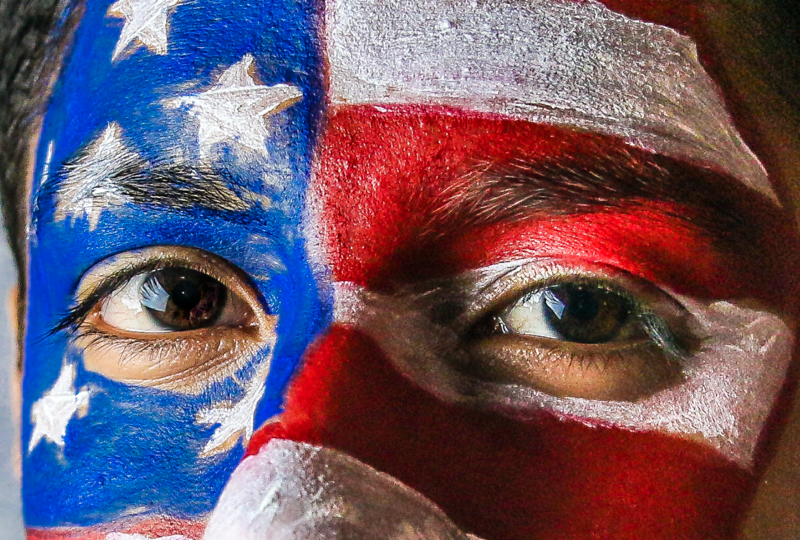 To retain DACA’s status, recipients must renew their application every two years. A year ago, Arriola faced an expiring DACA permit. To renew it, he began working at the Mall Deli to pay for it himself. With money saved up from bussing tables, Arriola was able to pay the nearly $1,000 permit and attorney fee. Two months ago, his renewal request was approved, just before Trump signed his executive order. Now, according to the National Immigration Law Center, no new DACA applications will be accepted. However, for those who wished to renew their statuses, applications were due by Oct. 5. Despite his efforts to maintain his status as a Dreamer, Arriola’s future is still unclear. Once his permit expires, Arriola will return to an undocumented status. 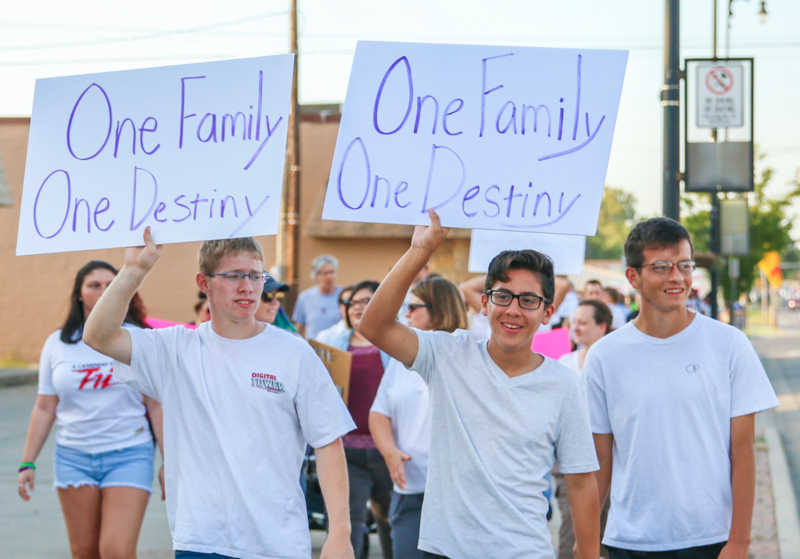 On Sept. 8, the community organized a march and rally in support of DACA. To rally support for DACA recipients on the team, Bockover encouraged players to attend. Hundreds of men, women and children listened to the stories of immigrants and natives alike sharing personal experiences. Not in attendance was junior Sam Garcia. Due to the sensitivity of this topic, Garcia’s name has been withheld to protect his identity. As an undocumented immigrant, Garcia worries about being discovered. Garcia and his mother are both here illegally and live in fear of deportation. Two years ago, at the age of 16, Garcia left the only place he knew as home: Guatemala. He began his journey to Mexico alone. Along the way, Garcia met other undocumented immigrants while traveling to the border. When he attempted to enter the US without documentation, Garcia was detained by Immigration and Customs Enforcement (ICE) agents. Per the “catch and release” law, ICE allowed him to reunite with his mother, but he will need to appear in court for a deportation hearing. Garcia’s mother came to America before him to flee gang violence and to start building a better life for her family. Garcia joined her five years later to escape the Mareros, a prominent gang in Guatemala, who threatened him and his family’s safety. “They told me that I had to become a member and join them,” Garcia said. Due to gang pressure, Garcia arrived in Pittsburg in December 2015 and started school a week later. He had played soccer in Guatemala, but it wasn’t until he joined the PHS soccer team that he realized he wanted to improve his skills. When Garcia joined the team, a place where Spanish is predominantly spoken, he felt welcome. To Garcia, the team was family. Soccer became a unifying force for many teammates, including senior Gumaro Rodriguez. After waiting two years to finalize his path to citizenship, Rodriguez became a permanent resident at age six. Rodriguez shares a dilemma with many immigrants. Assimilating to a new culture was a shock for Rodriguez. He recalled struggling with comprehending new concepts in a foreign language. For all of these players on the team, and many more in the sport, diversity becomes their strength.